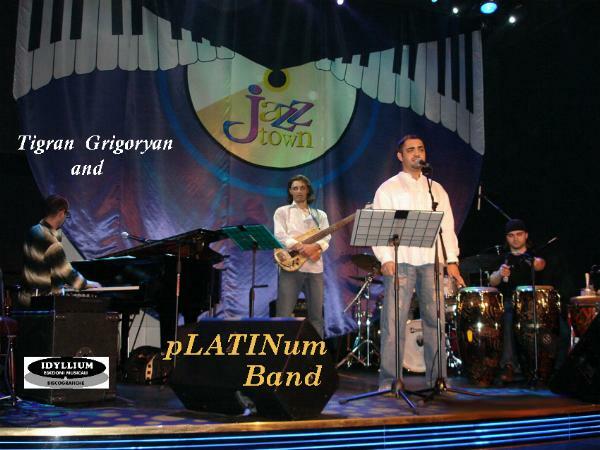 The band started by a famous pianist from Moscow Tigran Grigoryan made their debut in 2002.T. Grigoryan was a graduator and at the moment is a teacher of Russian Music Academy named after Gnesinyh (Professor Bril’s class), he is a delicate musician, an arranger, an author of some interesting compositions, a price winner of the third All-Russia competition of jazz-players in Rostov-na-Donu, he has covered an excellent school of jazz playing within the “Gnesyncky” , on the scenes of some festivals, concerts and competitions. He is a participant of many festivals in and out of Russia (Dresden – 2002, Gentbrugg – 2003, Osterod – 2003, Hildesgame – 2003 and others). T. Grigoryan is a senior teacher of Russian Music Academy named after Gnesinyh (a class of jazz pianoforte and a band) at the variety-jazz department, which has been conducted by a Russian national artiste, professor – Igor Brill. At some time T. Grigoryan used to be one of the students of a remarkable maestro and is assisting him in educating a new generation of talented musicians and teachers. 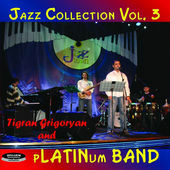 “pLATINum BAND” has been taking part in different jazz festivals not once both in and out of Russia. He performs a lot in Moscow clubs both separately and as a rhythm section with different soloists. 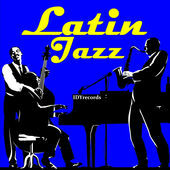 The repertoire of the band includes some stirring Latin-American compositions, “internally green” jazz standards as well as T. Grigoryan’s own compositions. ANTON REVNYUK – bass is a prize-winner of All-Russia and International jazz competitions. He is a participant of numerous festivals in and out of Russia. Cooperated with such musicians as Alexey Kuznezov, Jackov Okun, Lev Kushnir, Vagiv Sadykov, Leonid Vinzkevich, Valeriy Ponomaryev, Aleksandr Sipyagin, E.Mariental and others. ALEXANDER KHUDYAKOV – drums is a laureate of All-Russia and International Jazz competitions. One of the most required drum-player in Moscow. He is a participant of the numerous festivals in and out of Russia. ARTUR GAZAROV – percussion is a prize-winner of All-Russia and international jazz competitions. He is a leading percussion in Moscow, a participant of numerous festivals in and out of Russia. He has cooperated with such musicians as Al Di Meola, Leonid Aghutin, Sergey Manukyan, Roman Miroshnychenko and others.